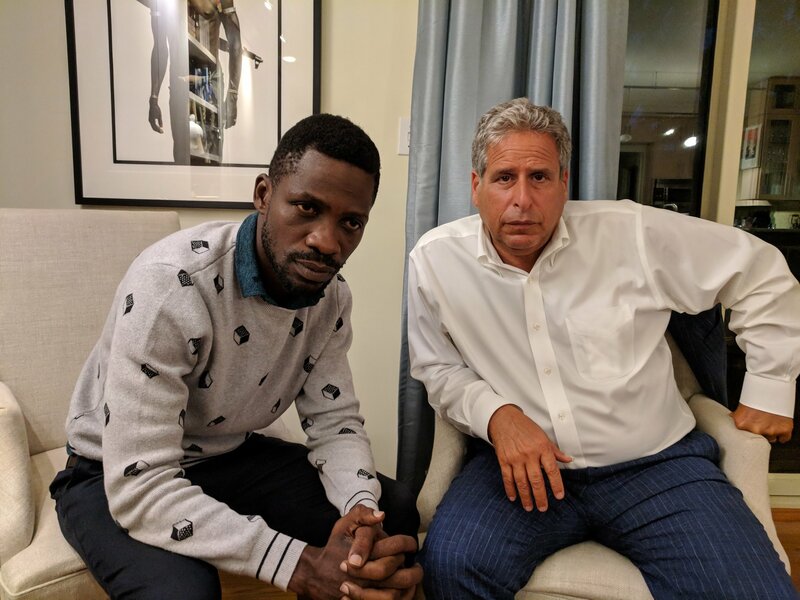 Bobi Wine with his outspoken international lawyer Robert Amsterdam in Washington DC on Wednesday (PHOTO: AMSTERDAM & PARTNERS). WASHINGTON DC- Kyadondo East Member of Parliament Robert Kyagulanyi, a.k.a Bobi Wine international lawyers from the London based Amsterdam & Partners have announced the legislator will speak to the World Media on Thursday. Mr Robert Amsterdam will appear with the MP before the journalists according to a press release shared on bobiwine.com, a website managed by Bobi Wine’s foreign legal defence team at Amsterdam & Partners LLP. Bobi Wine who is currently in the US for specialised treatment following his violent arrest in Arua on August 13 published a statement earlier in the week saying he had been tortured by President Museveni’s guard from the Special Forces Command (SFC) after he was arrested in Arua and later charged with treason. After he was arrested, Bobi Wine’s international lawyers dismissed the charges against the MP as fabricated and vowed to take on the government on an international front. In a press release issued before the first charges against the MP were dropped in military court but a new treason charge re-instated in the civil court, the lawyers said the “state’s ultimate goal is to “normalize” the violent persecution against opposition members like Kyagulanyi through the mimicry of legal procedure”. “Amsterdam & Partners LLP is currently in the process of submitting petitions and applications before multiple international bodies, and is exploring the potential avenues for the application of individual sanctions against Ugandan officials involved in torture,” said Robert Amsterdam the firm’s founder.